Marinaleda – what sounds like a dreamy place out of a fairy tale can indeed be seen as an utopia in our profit orientated world. 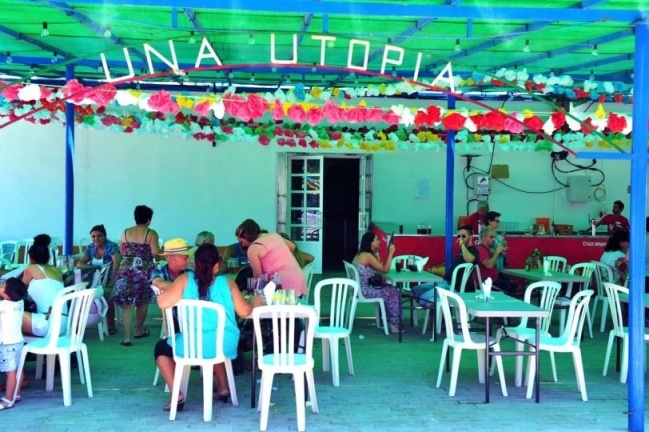 The small village in Spain it is setting an example against the rule of capitalism and the world wide urbanisation trend: in 2008 there were more people living in cities than in rural areas – for the first time in history. This phenomena is mostly caused by an industrialized agriculture that kills peasant jobs and make it impossible for small farming businesses to survive against the concurrence of big global enterprises. 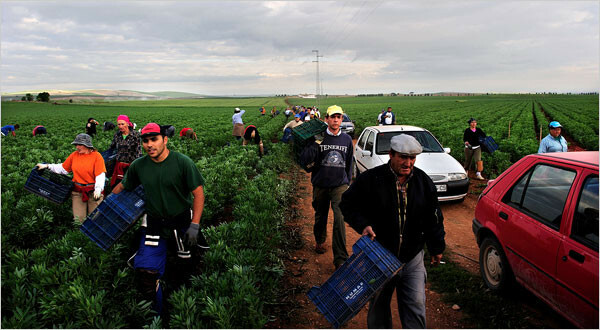 The village in Andalusia is counteracting this logic of profit: instead of pursuing an agriculture that produces the most of benefit with the less amount of work out of the land it puts the latter back into the service of men. Choosing crops that demand a high amount of human work it creates enough job opportunities for its population – in an area with an unemployment rate of over 25%. 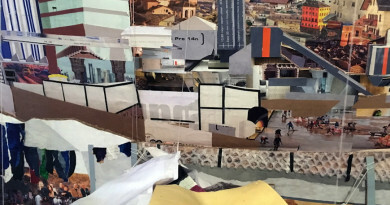 Profit – whose pursue rules the life of our capitalist societies – is not even important for Marinaleda: every citizen gets the same amount of salary, houses are built by themselves, with the material paid by the municipality, and in order to prevent profit seeking it is forbidden to sell houses. Any surplus that is gained for example by trading products and crops to other villages is reinvested in order to create more jobs. The real estate market – which turned Spain together with the rest of the world into a big financial crisis in 2008 – is simply not existant in Marinaleda. The success story of the so called communist enclave startet in 1991 when, after a long series of protests, villagers gained 1,200 hektar of unused land owned by the Duke of Infantil. They used to occupy the land untill they got sent off by the police, just to return again the next morning. After 12 years of struggle the people of Marinaleda were finally rewarded by the regional goverment who paid the Duke off and gave the land into Marinaleda’s hands. Intensly connected with the developments in Marinaleda is the name Sánchez Gordillo, the major of the village that has been reelected with absolute majority since 1979. Seen as a hero for most of the population, there are still critics against his autocratic style and his influence in every decision making process. As well as Marinaleda works as an example of how an alternative to the life in a capitalist system is imaginable it has its own dangers of repeating mistakes made in other socialist societies we know. However, seeing the death of small farming businesses in rural areas, the huge drain to cities that lead to the abandonation of whole villages especially in developping countries like Turkey, the story of Marinaleda shows how it could be otherwise: There are alternative ways to the rule of global supermarket chains and the logic of capitalism. 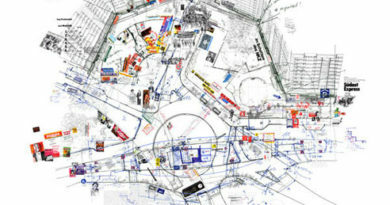 It lays in forms of cooperations and collectives, in communities that agree on how they want to live and what they want to work for.